I’m a bit too old to have grown up with Sesame Street but I sat and watched many, many programmes with my four children when they were little and grew to love the little characters that appeared on the television screen each morning. Like most people, I have a soft spot for Elmo – and I have to admit that I have a bit of a crush on Count von Count with his wonderful accent!! 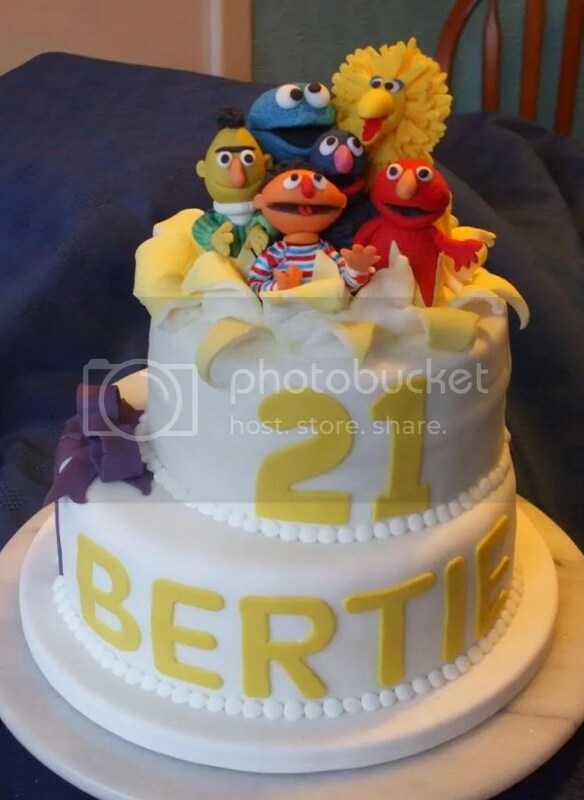 Although I am aware that my grandson has some Sesame Street toys I have not had much reason to think about these characters for many years but I have recently had a request for a cake featuring some of them..which was a bit of a surprise since the cake was for a 21st birthday! But then – when I got to thinking about it, I thought “Why not?” – after all, some friendships forged in childhood can be the strongest and most enduring, so why shouldn’t these well loved old friends be there to help celebrate a 21st birthday?? 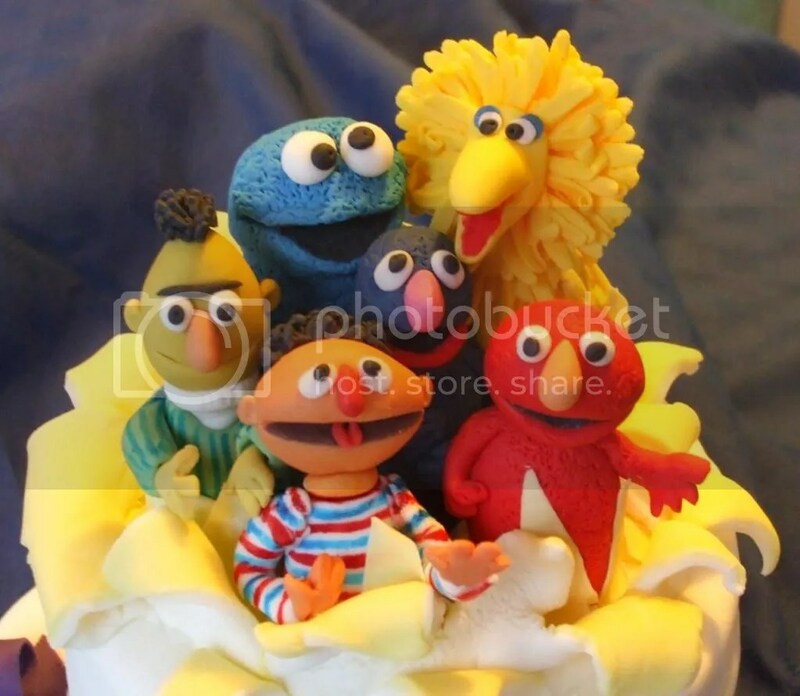 I have really enjoyed trying to create my version of Big Bird, Cookie Monster, Grover, Elmo and Bert and Ernie and the cake was collected this morning with much excitement and delight which gave me a terrific boost. It is always very rewarding to have such instant positive feedback. I wish you the happiest of birthdays Bertie! !